"The inhabitants of the moon are more of a uniform size than the inhabitants of the earth, being about 6 feet in height. They dress very much like the Quaker style and are quite general in the style or the one fashion of dress. They live to be very old; coming generally, near a thousand years." 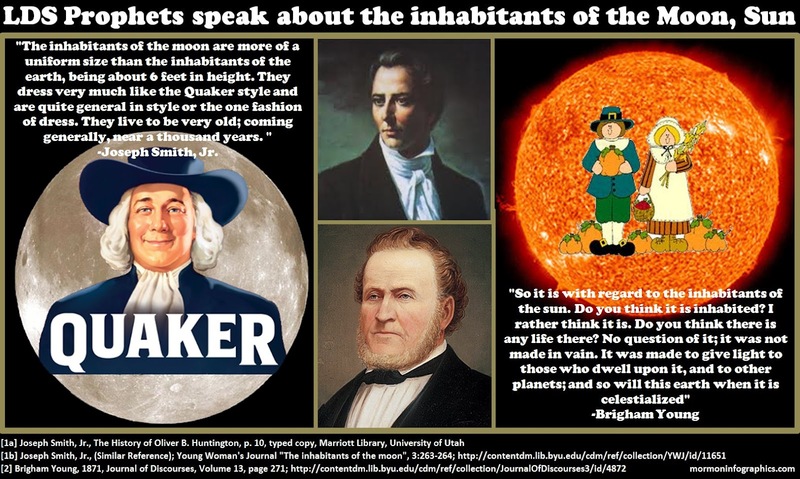 "So it is with regard to the inhabitants of the sun. Do you think it is inhabited? I rather think it is. Do you think there is any life there? No question of it; it was not made in vain. It was made to give light to those who dwell upon it, and to other planets' and so will this earth when it is celestialized." And they named a university after this hick? I hope there is no med school.